For a limited time only, on Amazon.com you can buy 这种长方形慢锅，Crock-Pot 3.5 Quart Slow Cooker in stainless steel and white for only $26.95 shipped! 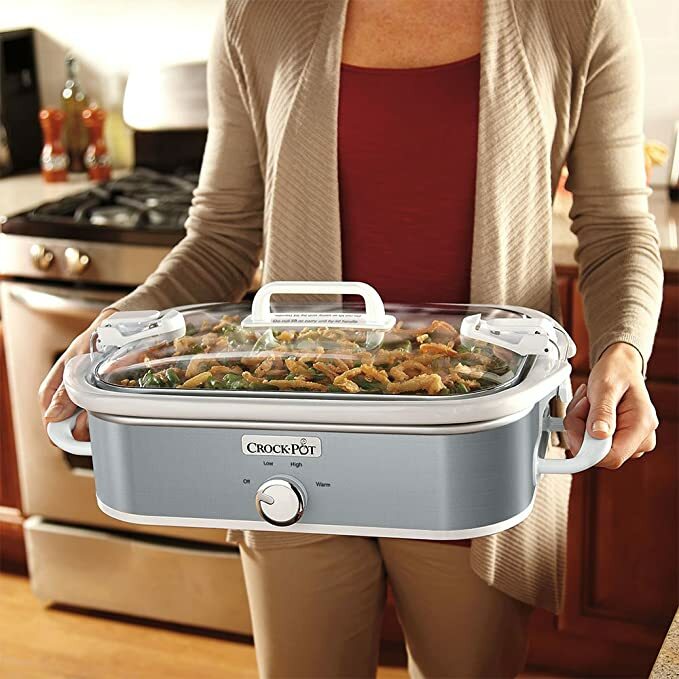 This Crock-Pot features three temperature settings, a dishwasher and oven-safe removable stoneware crock and is equipped with a locking lid and cord wrap to make transport easy. Plus, its rectangular design is the perfect size and shape for casseroles and lasagna.